Volkswagen Australia has confirmed it is bringing the classic 'pop-top' Kombi Camper back to the local market in the second half of 2018. The Camper, returning after a long hiatus, will be a leisure-orientated derivative of the current T6 Multivan people mover, sitting alongside the retro-themed Kombi 70. 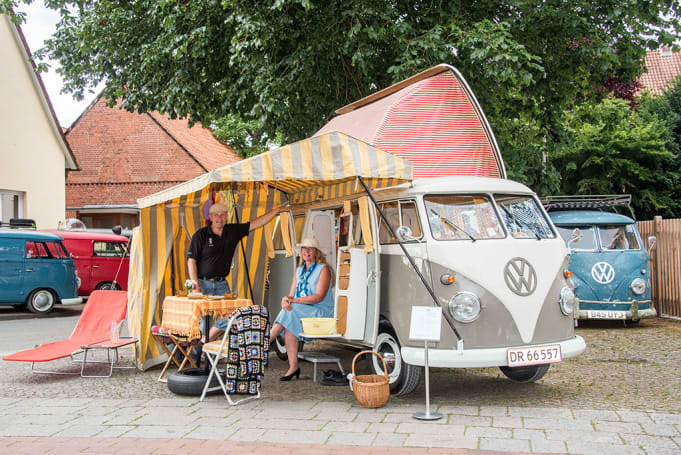 “Everyone has a Kombi van story; and we've listened to our customers and I'm pleased to announce we will be bringing the classic Camper back to Australia with a range of accessory options for those wanting to convert their T6 at the time of purchase, ” he said. Volkswagen has confirmed the Kombi Camper will be available as a complete package from VW dealers, with T6 Multivan buyers also having the option of fitting some or all of the available elements as genuine accessories. Pricing and specifications are yet-to-be-confirmed, but a Volkswagen spokesperson told CarsGuide the Camper would be pitched at an “attainable price point”. The 2018 Volkswagen Multivan currently ranges in price from $52,990 for the Comfortline TDI340, to $83,890 for the Executive TDI450 LWB.